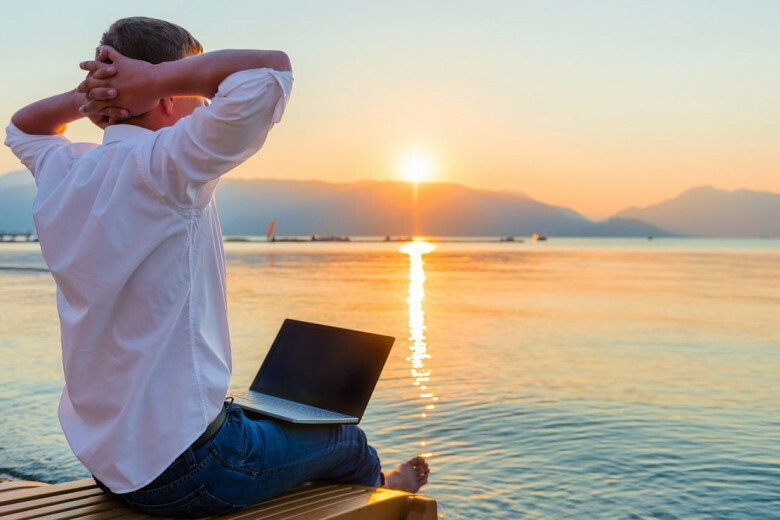 There are countless benefits to waking up early and one of them is increasing productivity in many ways. While it may be hard at first, you’ll begin to jump out of bed every morning with the excitement of how much it’s benefiting you. Research has revealed that early risers become more optimistic. They anticipate problems and solve them more efficiently, a gift everyone needs in the business world. Within the early hours, the world is your oyster and you can pick and choose what helps you make the best of everyday. Pencil in things that make you feel good. If you’re in a good mood, it will help attribute to your productivity. Claiming the early hours of the day allows you to do some of the things you really enjoy. They are habits that boost your energy because you’re enjoying life and giving yourself essential “me” time. Commit to doing something that makes you want to bounce out of bed in the morning. Spend time with your family or someone you love. Spend time alone. Read the paper, have your morning coffee outside. Getting yourself motivated for the day is really integral to your productivity. It can actually be fun and inspiring too with little effort. Many of the top CEO’s and successful entrepreneurs spend 30 minutes listening to inspirational videos or looking through empowering quotes. Starting your day off with a little Tony Robbins will get the ball rolling. You’ll be looking at your computer screen, changing the world with a huge grin on your face with your “I’m going to rule the world” attitude. It’s recommended you re-charge your motivation vibe every few hours throughout the day. You need to take breaks to increase productivity anyway. We are all different so what you decide to write is your own choice. It may be strange to write at first if you haven’t made it a habit. You can start by writing out your goals, what you ate for dinner last night, what the weather is like or what you’re grateful for. It doesn’t actually matter what you write but that you do write. When you take a pen to paper, you invoke your creativity as well as keeping your mind sharp. Psychologists believe that when you write by hand, those thoughts have a longer lasting effect on your memory. Studies also show that when you handwrite, you activate the motor cortex of the brain which doesn’t occur when you type. 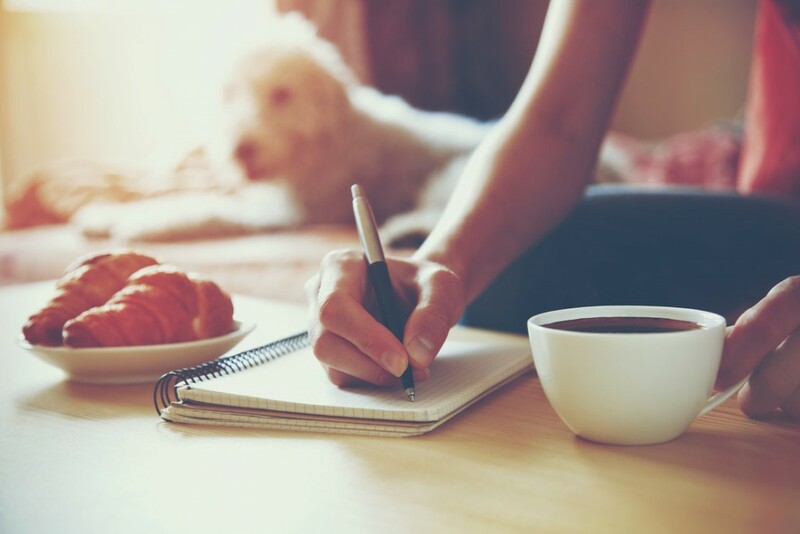 Do a little bit of writing before you start your day to warm up the inner mechanisms of your mind. There have been a number of studies which show that as children develop, those who hand-write have better memory retention,” Seifer says. Don’t think of meditation as incense sticks and sitting in the lotus pose. It’s suggested that you calm the mind in order to get back your energy. You can sit outside with a cup of coffee or just take a brief walk in nature. The mission is to give your mind a break by sitting in the moment, it’s a stop and smell the roses exercise if you will. Meditation has been used for centuries as a way of centering a person. You get rid of all your thoughts and let your mind take a break. The lowdown is that meditation increases your melatonin which your body may be lacking due to stress. If you’re stressed, your productivity is likely less than it should be. You’re recharging your brain and body as though you just woke up from sleep. Meditation at a cellular level is as beneficial as sleep. It heals the body by boosting growth hormones and reducing the stress hormone, Cortisol.Your brain also gets a blast of stimulation in the same way as it would if you were sleeping. You get a boost of Alpha, Theta and Delta waves within the brain and there is a reduction of stressed related to Beta Waves. DeJoria, the cofounder of Patrón tequila and Paul Mitchell hair products has a morning routine that begins with five minutes of quiet reflection. Do the most difficult work task for the day first. No sense in having a dark cloud looming over your head all day and feeling defeated because you still have to nail that one thing that is posing a challenge. Do the hardest task while your mind is still sharp, preferably before breakfast. You’ll have a sense of relief when the heavy burden of that difficult task is done early in the day. You will also have expanded your mind making other projects for the day easier to tackle. Accomplishments before breakfast are an excellent way of “feeling” productive. He is among many successful people that have a morning routine which includes exercise. It’s important to feed your brain if you want it to work at maximum capacity. You may be totally organized but your brain may not be up to the challenge of your daily goals. Exercise and eating right are the springboard to productivity. It makes working hard to achieve your goals a lot easier when your mind and body is getting what it needs to thrive. Have a kick§$% breakfast after you’ve tackled your hardest “thing” for the day. Eating the likes of nuts, fruits and eggs within the day also help boost the brain. There is plenty of evidence to prove that exercise has insanely good effects on how your brain functions. Sweating it out can improve your ability to learn and remember things and it prevents a loss of cognitive function as you get older. The synergy between what you eat and how you work out can be important to your brain at a cellular level. Take time daily to map out the direction of your day. Time management is the grandfather of productivity and while it may take some initial time and effort, if you make time management a daily habit, your productivity will soar. Review your tasks for the day and make sure you take time for breaks. You can even write down what you plan to do during your breaks, maybe a motivation re-charge or a bit of meditation. You will want to set aside time for checking emails as well as your social media so you’re not distracted throughout the day. I love mapping out my day. Hell, I’ll do it for the week. No matter what age, you think you can memorize it all – you won’t forget! But there is something about being able to cross a task off your list that day! To be able to look back at your week, AND KNOW that you pushed the needle forward – towards your goals – that is an AMAZING feeling! Hi Gigi, thanks for sharing your thoughts. It’s true what you say.